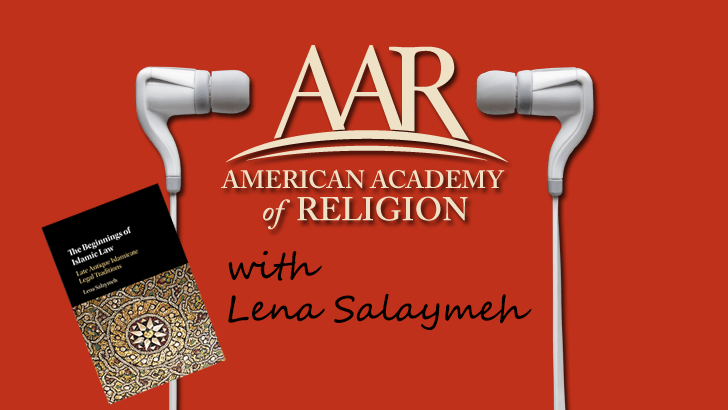 Lena Salaymeh joins Religious Studies News to talk about her 2017 AAR award-winning book, The Beginnings of Islamic Law: Late Antique Islamicate Legal Traditions (Cambridge University Press, 2016). Salaymeh is interviewed by Kristian Petersen. Her book won the 2017 Award for the Excellence in the Study of Religion in the textual studies category.